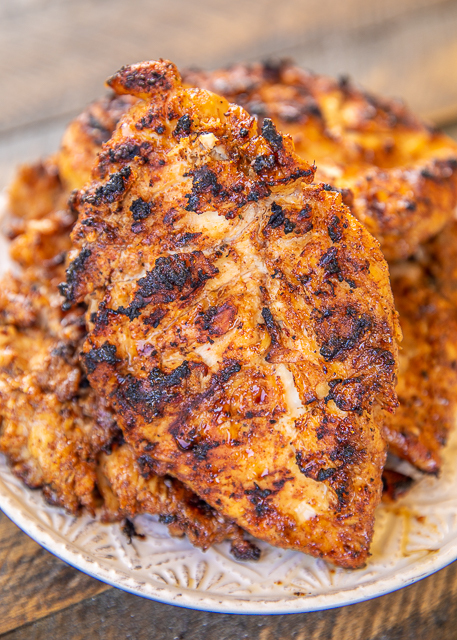 This Sweet & Smoky Grilled Taco Grilled Chicken is a new favorite! 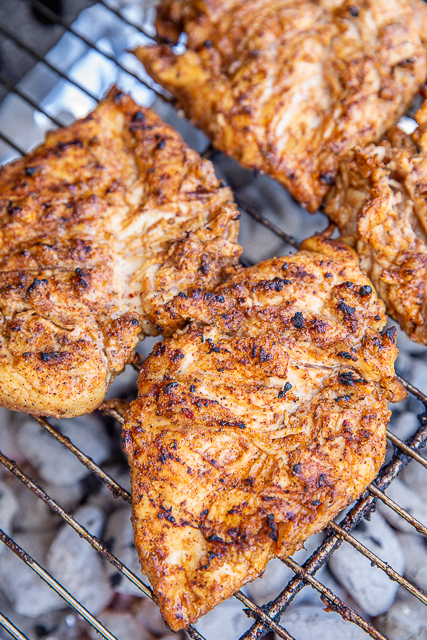 Only 3 ingredients and no long marinating required! You can marinate the chicken overnight, but it isn't necessary. Just rub the chicken with the seasoning and throw on the grill. I will tell you that I usually make this chicken before I go to bed at night and let it sit in the fridge overnight. I just find it easier to prep lunch or dinner the night before. BUT like I said, this is fine to just season and grill immediately. 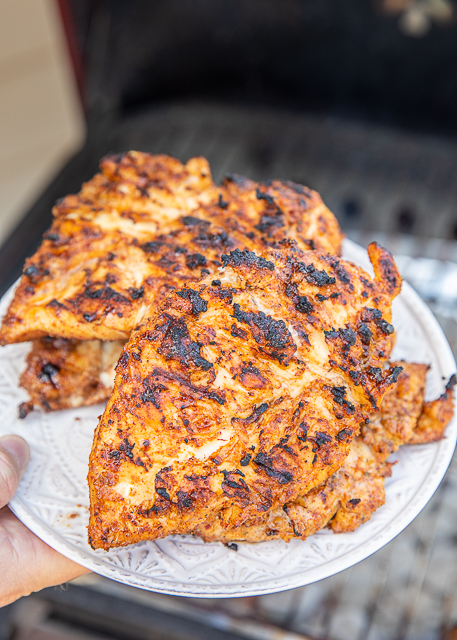 This Sweet and Smoky Grilled Taco Chicken was a huge hit in our house. It had tons of great flavor and was super easy to make. We grilled extra chicken for leftovers. I had the leftovers in a wrap and topped it with salsa. O-M-G! I told Chicken Legs I might have liked the chicken in the wrap better than just plain. Seriously delicious!! We actually loved this so much that we are making it again next week! 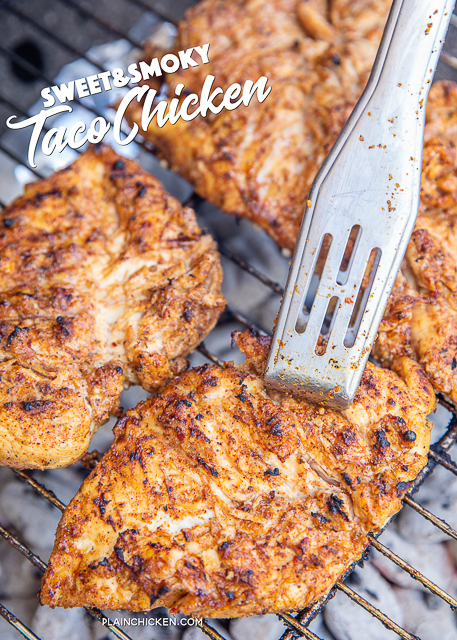 We just can't seem to get enough of this yummy Sweet and Smoky Grilled Taco Chicken! I am dreaming of the yummy chicken wraps now! Place chicken in a gallon ziplock bag and add brown sugar mix. Seal bag and rub brown sugar mixture into chicken. Refrigerate 15 minutes to overnight. 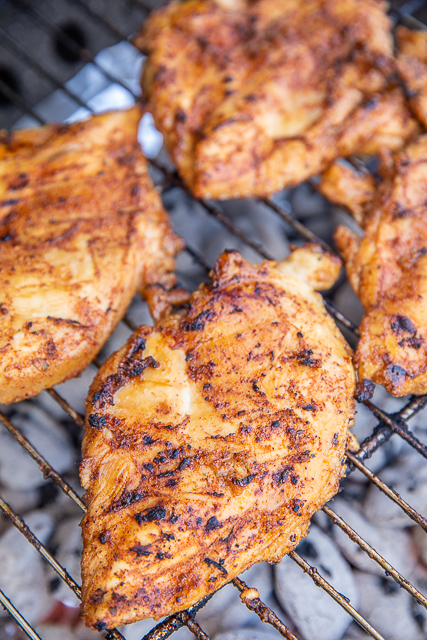 Remove chicken from ziplock bag and grill until done, approximately 6 minutes per side.